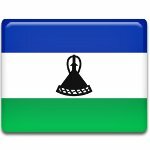 King Moshoeshoe I's Anniversary (Moshoeshoe Day) is a public holiday in the Kingdom of Lesotho. It is celebrated on March 11 each year. The holiday honors King Moshoeshoe I who consolidated various Basotho peoples and created the foundation of the present Lesotho. Moshoeshoe was born circa 1786. He was the son of a minor chief of a branch of the Koena clan. In the early 1820s, he formed his own clan and settled at the Butha-Buthe Mountain with his followers. By 1822, he unified several Basotho groupings and became their king. Moshoeshoe was known as a good diplomat. His acts of friendship towards defeated enemies earned him a lot of followers and strengthened his influence. The king understood the importance of white advisers and invited Roman Catholic missionaries to serve as his foreign advisers and interpreters. His reign was marked by wars, because the British and Boers wanted his land. Moshoeshoe I died on March 11, 1870. He is considered the founder of modern Lesotho because he consolidated the Basotho peoples and protected his lands against the British and Boer invaders. To honor his contribution to the establishment of Lesotho as a single state, his death anniversary was proclaimed a public holiday.